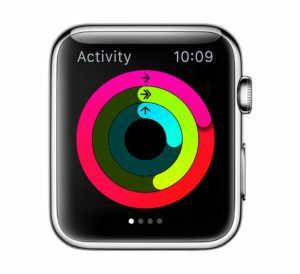 With Apple Watch, your workout data goes to the Health app on iPhone. The Health app integrates the workout data with all the other data it receives from other sources, such as any medical devices you use, as well as any data points you input manually. For example, you can input your declining weight or any other data you consider important. You can also review your fitness data in the Health app to analyze the progress of your fitness regime. Tap Health, and the Health app will open (as a rule, the Dashboard screen must appear first). Now, you can view the items you have added to Dashboard. Tap Day, Week, Month, Year to change the time period shown in the charts. Tap Health Data to display the Health Data screen. Tap Fitness to display the fitness screen. Tap Active Calories to display the Active Calories screen. By tapping Day, Week, Month or Year, you change the time period you see in the chart. If you want to display this chart on Dashboard, set the Show on Dashboard switch to On. Tap Show All Data to display the All Recorded Data screen. You’ll see a lost of all the data (all the recorded calorie count). Tap Edit to open the data for editing and delete data points, if needed. Tap a data point you want to review, and the Details screen will appear, showing as well the source of the data point (Apple Watch in our case). Tap Back, and the All recorded Data screen will show again. Tap Active Calories to display the Active Calories screen again. Tap Fitness to display the Fitness screen. You can also tap another Fitness item and display it. The Share Data command on the Active Calories screen appears on the Active Calories screen and on the other Fitness data screens. This command allows you to share a category of data with another app. For example, you can share your Walking + Running Distance statistics with a third-party app which helps you to analyze walking and running data. Nike+ Run Club by Nike, Inc.: Slogan – Your Perfect Running Partner. This app gives you everything you need to run better and more often. It includes GPS tracking details of your run. It also offers customized coaching plans that fit your goals and adapt to your progress. Besides it has a nonstop motivation from your friends. This app can really help you reach your goals and have more fun getting there. MyPlate Calorie Tracker by Demand Media, Inc.: Slogan – Your Diet and Fitness Calorie Counter for Better Health. Tracking calories is easy and it works! Join the millions who have lost weight with livestrong.com MyPlate Calorie Tracker the most user-friendly way to track your calories on your iPhone, iPad, and Apple Watch. Strava Running and Cycling by Strava, Inc.: This tracker track your runs and rides with GPS, join Challenges and see how your running and riding compares with friends. You can follow routes Strava has created or found and view your activity map as you record. You can get key stats like distance, pace, speed, elevation gained and calories burned. You can collect heart rate, power and cadence data from ANT+ and Bluetooth LE sensors and more. Runtime by Conrad Stoll: A simple run tracking app that logs your route wherever you go for a run. The watch app is both a control for starting or stopping a run, as well as a quick dashboard for your distance, time, pace, step count, current location, split times, and elevation profile. Map My Run by Under Armour: You can log over 600 different types of workouts; record GPS-based activities to view detailed stats; connect with 400+ devices connected to the My Run community to import and analyze all your data in one place. 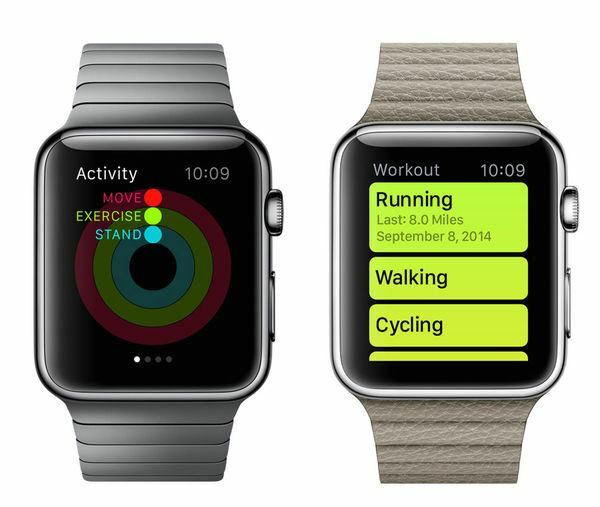 View real-time stats at a glance on Apple Watch. MyNetDiary PRO by MyNetDiary Inc.: This tracker gives you the best tools to track food and exercise, plan healthy meals, and stay motivated. On Apple Watch, MyNetDiary lets the user quickly and easily check remaining calories and daily totals, get daily tips, log water and weight, and log foods from favorites or with dictation. Argus Calorie Counter Diet, Activity, Step Tracker by Azumio Inc.: It lets you start, pause and stop an activity straight from your wrist. With Audio coach it is easy than ever to hear your stats and view your stats on your watch as well. View Speed, Pace, Cadence, Heart Rate without picking up your phone. You can view your challenges on your watch quickly and get back to beating your friends and coworkers. Running and Walking with Endomondo by Endomondo.com: You can get the most out of your runs, walks, rides and more with our top rated fitness tracker. You can track all of your workouts using GPS, check your stats and reach your fitness goals. Here is what you get free of charge: Track your favorite sports using GPS, and see duration, speed, distance, calories and more, get audio feedback for every mile/km, log your indoor workouts manually. Switching to a new Apple Watch series? We at iGotOffer help you save money for your new purchase. We pay the best price online for your old electronic devices. Free instant quote, free fully insured shipping, secure and fast payment: Old Apple Watch for sale. Published by Ezvid Wiki on November 22, 2016.